At least three officers were reported dead following a shooting in Baton Rouge early Sunday morning along a stretch of highway that has served as the site of protests against the police shooting of Alton Sterling. Baton Rouge police officers and an East Baton Rouge Parish deputy were killed with even more wounded after a shooter opened fire on law enforcement authorities, Chief Administrative Officer William Daniel told the Baton Rouge Advocate. The incident has renewed scrutiny of Louisiana gun laws, which are some of the country's most lenient. Residents in Louisiana's capital city will find the state presents only a few hoops for prospective firearm purchasers to jump through, making it relatively easy to legally purchase a gun. A valid driver's license confirming prospective buyers meet the federal age limits for firearm sales and — when purchasing from a licensed gun store — passing a federal background check are all that is needed to purchase a gun in Louisiana. Federal law requires buyers be 21 or older for handgun sales and 18 or older for shotgun or rifle sales. In Louisiana, it's even easier to buy a firearm from an unlicensed party, such as a friend or neighbor, as state law allows prospective buyers to legally skip the background check and finalize the sale with little more than a handshake. Records of gun sales or transfers are not mandatory, according to state law. Permits are not required to purchase guns in Louisiana and buyers are not required to register the firearms they obtain, nor does the state of Louisiana demand gun owners obtain licenses for open carry. State law does not impose a limit on the number of firearms a buyer may purchase at one time or significantly regulate the sale of ammunition. While gun owners across Louisiana don't need a permit to open carry, they are required for the concealed carry of handguns. Concealed carry permits are contingent on completing training and safety courses. Those with concealed carry permits are legally allowed to bring firearms into restaurants that don't record more than 60 percent of their earnings from alcohol sales. It is, however, illegal for gun owners to carry with a blood alcohol level of .05 or more. Don't expect Baton Rouge to enact stricter regulations than the state anytime soon. 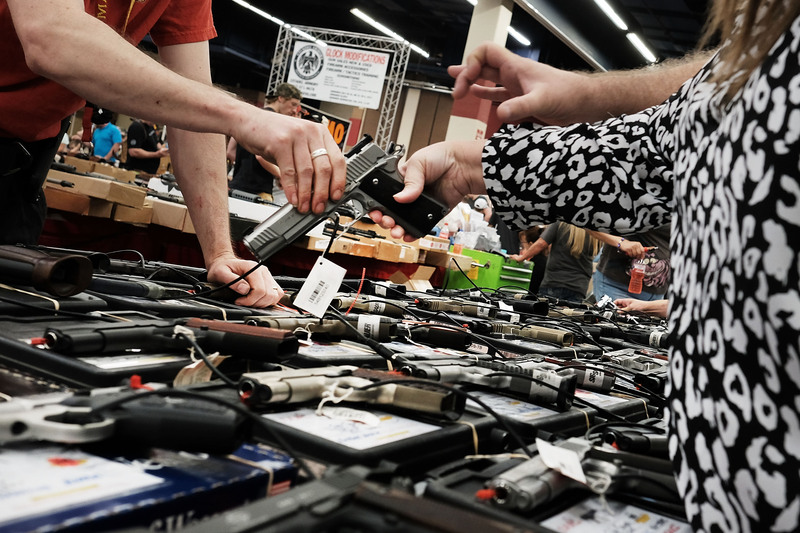 When it comes to the sale, purchase, transfer, ownership, license, registration, or possession of guns, local governing bodies within Louisiana are prohibited by a 1985 statute from signing "any ordinance or regulation more restrictive than state law." Louisiana's lenient gun laws make it unsurprising that nearly half of households in the state reportedly own at least one gun, according to a 2015 report by Mother Jones. However, the state was also reported to have the second-highest number of gun deaths in the nation per capita in 2013, prompting worrisome correlations between lax gun laws and gun deaths by gun control advocates.